Peter Mansbridge looks back on the life and times of one of his heroes: Michael Maclear. The legendary foreign correspondent gave Canadians an up-close view of many of the most important events of the 20th century. He passed away on Christmas Day at age 89. "There are those who never leave the newsroom to get their information, and then there are those who can't get out of the newsroom fast enough." No one ever needed to explain that to Michael Maclear. A famous photo of the Cuban Revolution shows Fidel Castro entering Havana in early January 1959, after ousting the corrupt regime of Fulgencio Batista. Castro is front and centre atop an old Batista tank making its way through the cheering crowds. But look a little closer and you will also see a young journalist almost right beside Castro, capturing the story for CBC Radio and CBC Television. 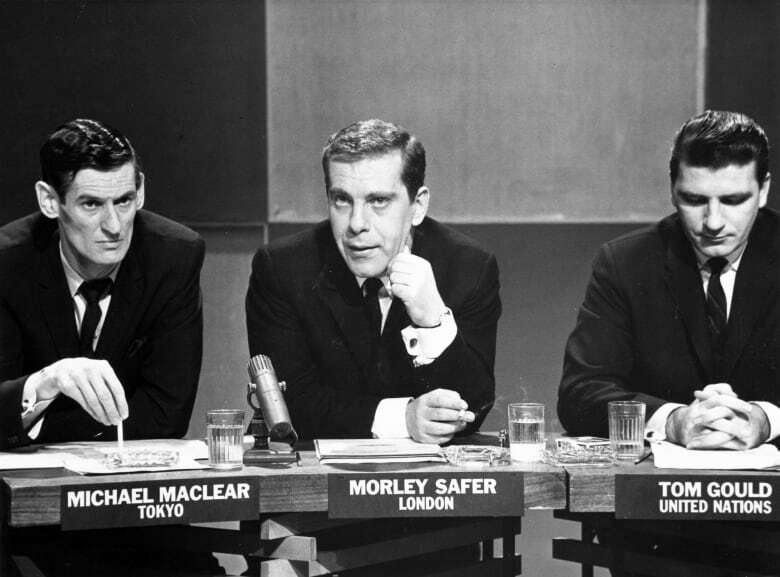 Years later, some of us used to joke: "Who's that guy next to Maclear?" Michael wasn't quite 30 when he reported that story for Canadians and, by extension, the world. It was the first of a series of journalistic coups that would make him an icon of the profession. Among his long list of accomplishments, he covered the Soviet invasion of Czechoslovakia, the Cultural Revolution in China and then set his sights on Southeast Asia. Ten years after his tank ride with Castro, he was covering the Vietnam War, determined to look beyond what other Western journalists were seeing. With all his colleagues lined up for the daily press briefings from the U.S. military in Saigon, Michael managed to get himself and his CBC cameraman into Hanoi, the capital of North Vietnam, while American B-52 bombers were blasting the city. He was the first Western journalist to see the war from "the other side." The footage and the reporting were so devastating that some U.S. officials, and sadly some U.S. journalists, openly questioned whether Maclear was on the side of the Viet Cong. From interviewing Fidel Castro to reporting on the Vietnam War, here are some highlights from CBC journalist Michael Maclear's career. His passion for the Vietnam story fuelled one of his many signature feats. After a stint with CTV News, he began work on his epic, 26-part documentary series, Vietnam: The Ten Thousand Day War. Broadcast in 1980, it was the first television history of a war that had caused such upheaval in so many countries. It aired in Canada, the U.S. and Great Britain to audiences hungry to understand the war, including why it started and why it led to such a powerful anti-war movement, especially in the U.S.
"The great advantage for the reporter today is immediacy, instant access and on-air exposure [from anywhere]. The disadvantage is that [can] tie you to the home desk all the time, 24-7. And the further disadvantage is there is less original work going into reports, in some cases, than there was in the old days." Michael Maclear was 89 when he passed away peacefully at his home late on Christmas Day. He spent a lifetime standing for great journalism, great storytelling and always for the truth. We can and should pay attention to his legacy now more than ever. None of us will live forever, but Michael's journalism will and we will always be indebted to him for that. His work was — and is — brilliant. All these years later, there is still the magic of the reporter who left the newsroom to be there. For us. 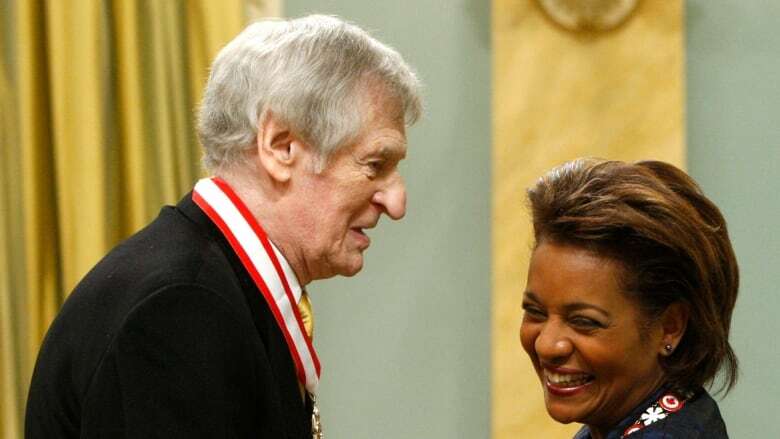 Years ago, a friend asked me to write a nomination for Michael to receive the Order of Canada, the country's highest civilian decoration. At first, I was stunned that Michael hadn't already received the honour. And then I sat down to write about him. Watch Michael Maclear's report from Hiroshima's "atomic hospital" in 1960 — 15 years after the U.S. dropped a nuclear bomb on the city. 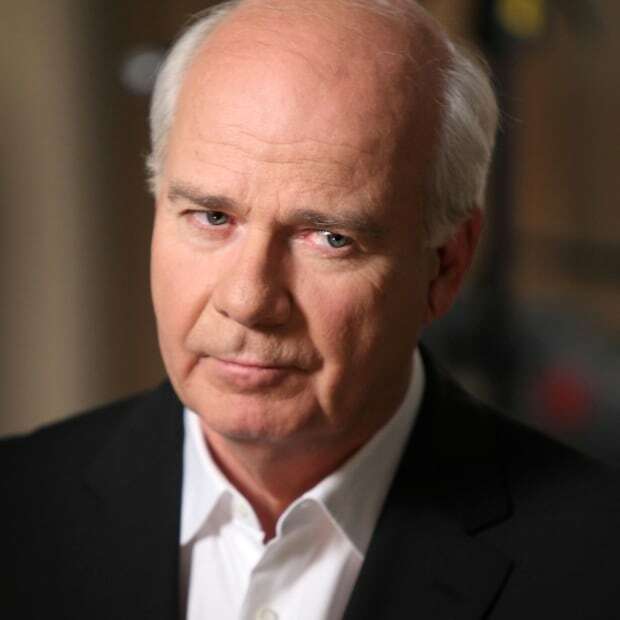 Peter Mansbridge is the former chief correspondent of CBC News and Distinguished Fellow, Munk School of Global Affairs and Public Policy. Does Facebook need to act more like a news organization?